did u like her new movie ?? ?STUDENT OF THE 年 ??? Which Close up pic of Alia do 你 Like..? which look do u prefer? and 上传 u r fav pic..
who is looking pretty in [this] same gown. alia 或者 isha and post u r another fav pic of any 1..
Shaandaar is an Indian romantic comedy film, directed 由 Vikas Bahl and produced 由 Anurag Kashyap and Vikramaditya Motwane. It stars Alia Bhatt and Shahid Kapoor in lead roles, with Pankaj Kapur and Sanjay Kapoor in supporting roles. The Times of India described Shaandar as "India's first destination wedding film". The Principal 摄影 began in August 2014 in Leeds, and the film is released on 22 October 2015. The Student Of The 年 pair Alia Bhatt and Varun Dhawan didn’t hit it off instantly because she felt snubbed 由 Varun the first time they met. Director David Dhawan's son Varun Dhawan says it took time for him and his Student Of The 年 co-star Alia Bhatt to get along. "Alia never liked me earlier because I didn't say, 'Hi' to her on the first day. But that is because I was giving my look test and didn't see her. She was angry with me in the first one week, but then it got okay," 说 Varun. 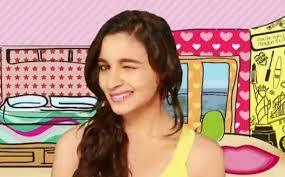 alia bhatt name in highway? ?